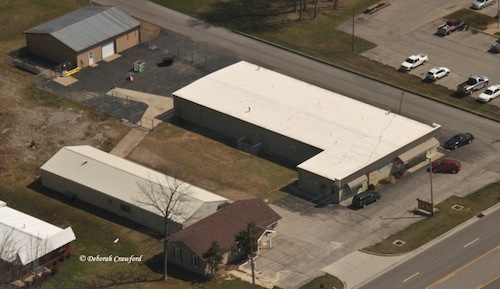 Cozy Critter Pet Hotel is a full-service animal boarding and grooming facility in Madison, Ind. The building is a 9,000 sq. ft. structure with a low-slope metal roof that ends in commercial-grade guttering. When the roof’s chronic leaking continued despite repeated repair work by other contractors, owner Linda Hommel called Exterior Pro Roofing. 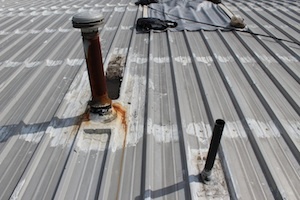 Exterior Pro Roofing quickly assessed the situation and determined that the metal roof’s exposed fasteners had corroded, which caused the leaks. Removing and replacing the Cozy Critter Pet Hotel’s roof was not an option; it would require shutting down business while the roof was repaired, which would cost much more money. The alternative proved to be a more effective and cost-efficient solution. 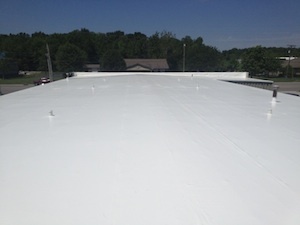 Exterior Pro recommended a metal roof retrofit, in which a Duro-Last single-ply membrane is installed directly over the existing metal roofing. This creates the necessary watertight seal over the building without the need for a costly tear-off or exposing the building interior to the elements. Because of Exterior Pro Roofing’s recommendations, the Cozy Critter Pet Hotel remained open during repairs, and the cost was 50% less than a new roof. A bonus win for the business: the white surface of the Duro-Last membrane also reflects 86% of the sun’s rays, lowering energy costs and keeping animals cooler during the summer months. To begin the retrofit, we attached OSB board to the building’s metal frame, which provided us with a clean, flat working surface. 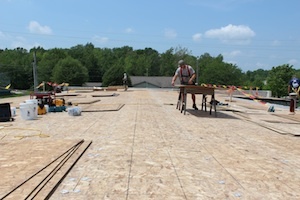 We then divided the roof into four large areas and ordered Duro-Last® deck sheets accordingly. By custom ordering these sheets, we eliminated 85% of the field seams typically found on traditional roofs. With fewer field seams, the roof had fewer leak-prone areas—and repairs took far less time. The front of the building had a small parapet wall, which we ran the Duro-Last® membrane over to completely seal it from water exposure. We finished the project by installing a metal trim colored to match the building exterior, sealing the edges of the material. We then installed a 4-inch vinyl drip edge into the building’s commercial-grade gutters, so that water flowed properly. The repairs took four days, and the pet hotel stayed open throughout thanks to careful planning. When we were finished, Hommel was pleased with our work and that the four-legged guests of the Cozy Critter Pet Hotel stayed warm and dry. 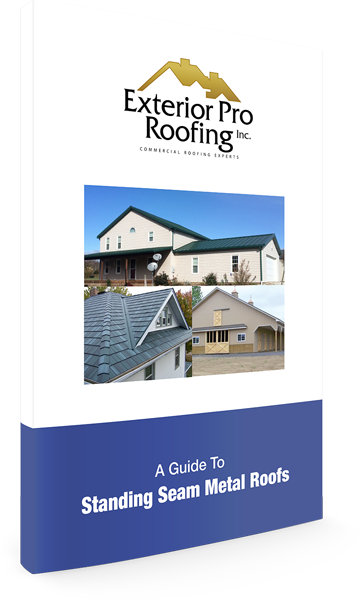 "Exterior Pro Roofing is the only way to go for any roofing problems that you may have. They were fast, friendly, and precise. Very easy to work with, not to mention how particular they were on making sure it was fit like it should be. Thanks Exterior Pro for you outstanding effort and reliability on the process of my new roof."